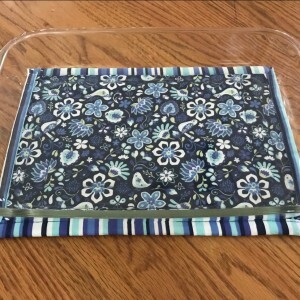 I am always using two hot pads to put casserole dishes on the table, and I found an easy pattern recently and just had to make one. These are SO useful and easy to make! 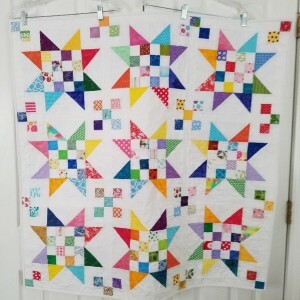 This was the first project I made after discovering Jenny and MSQ. I love the colors and how easily it all went together. 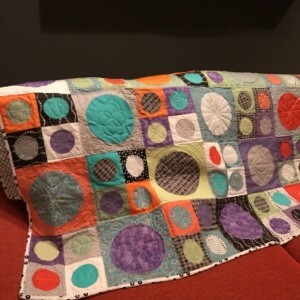 This quilt was made for wonderful friends who go way back in our lives. Their modern home has a unique color scheme. 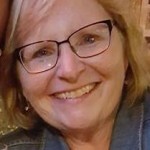 When we were traveling in Reno I came across a great quilt shop and found all of these fabrics that look like they belong in our friends' home. I carted about 5 yards of fabric all the way back to Texas. 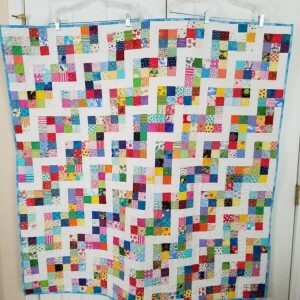 I actually made the quilt top twice because I didn’t like the first one. I’m very pleased with how this one turned out. It was pieced, appliquéd and quilted on my domestic sewing machine. 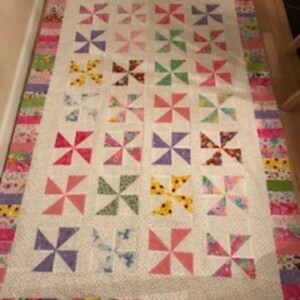 This table runner was created using four Orange Peel blocks. I find the orange peel blocks so FUN to make! 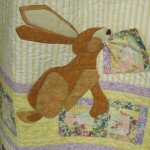 This quilt is for my granddaughter, Annabelle. 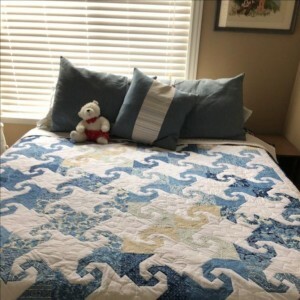 I am in the process of making quilts for my family after a long time away from sewing, and i am thoroughly enjoying my time again. Annabelle helped picked some fabrics and helped organize the squares, and sat at the machine with me a few times to help sew. 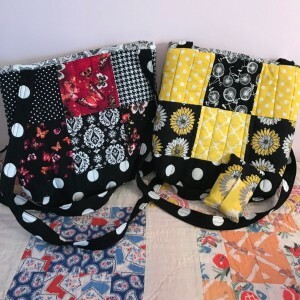 Applique designs by Fat Cat Patterns. 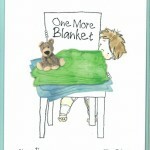 Hope it helps a child to smile! 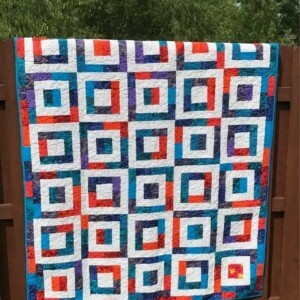 I recently got back into sewing and am in the process of making quilts for my family. This one is for my daughter-in-law, Ashtyn. I saw the pattern on a magazine and recreated it using colors from her wedding and glittery fabrics since she's a glitter girl. 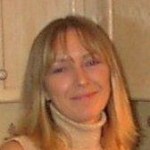 She is also a pokemon fan and there is a square devoted to searching for a pokemon. 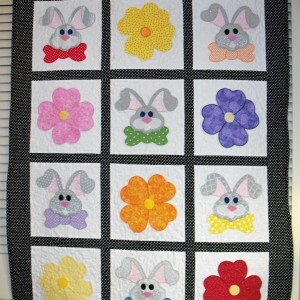 This is a fun quilt. 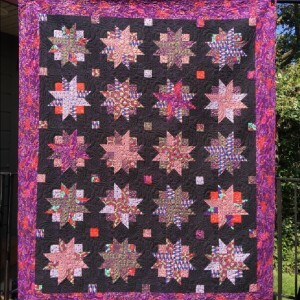 Here is the link: http://www.gigisthimble.com/2012/01/scrap-jar-stars-tutoroial-giveaway.html I tried some daisies in the free motion quilting. I love brights on white. 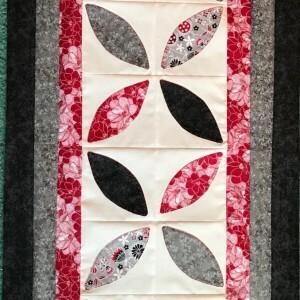 I made it using Sweet Pea Favorites Flannel 10" Squares and Country Road - Dapple Moonlight Tonal Black 108" Wide Flannel Backing (cut in 10" squares). Super Easy. 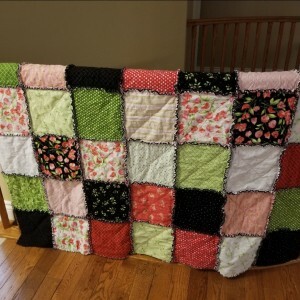 I will be making another one so both my granddaughters will be cozy warm this coming winter. Washed and dried 3 times, looks a little wrinkly, but am sure it will look better if I take it out of the drier right when it stops this time :) Note to self, purchase proper scissors for cutting all the seam allowances, don't want blisters again.Note to self: (either from the backing or from the black 10" square from the layer cake itself) the black has leaked to the white square, as I notice they are a bit dull, greyish now that it has been washed a few times.